Vern Burkhardt (VB): "There may be many gods, but logic is the Supreme Being." Does the Supreme Being like to kill great ideas? John Hunt: Yes. I think we give logic too much weight. It's important to understand that logic is a fine filter for giving an idea ballast at the end of the process, but it's a horrible thing to bring in too early. As discussed previously, ideas are fragile. It would be easy for someone to come up with a killing remark and decapitate the idea in its early stages. Often the smart arses in the room will want to prove their cleverness. You can knock almost any idea in it's early stage. You can find a reason to castrate it. Logic sits there hungrily chomping away. But you need to be a bit silly, laugh, push and pull, and run with an idea. Of course, at the end of the process ask, "Ok guys. Now was that idea just madness? Let's think about it. Let's be a little logical." VB: The devil of the devil's advocate. John Hunt: Sure and there is no stronger righteousness than self-righteousness. VB: "Silence is the perfect place for an idea to grow in. After hours of debating the same issue, I find the best dialogue happens when no one says anything." Would you talk about the creative power of silence? John Hunt: This is another interesting aspect of the flow of ideas. One minute we have idea adrenaline – everyone going crazy with jabbering, then at some point the room needs to go quiet. Or maybe it's time to say, "Let's all go somewhere else for a while." One person goes across the road to the coffeehouse. Someone else drifts into a meeting room. It's fine to rein in the frenetic pace a little bit – to just chill for a while. Often, when we come back after a break, the group has calmed down remarkably. Most of the people have mulled over the discussion and come to a sound understanding of the merits of the idea. They are thinking the same thoughts and it is now calm. Silence is a very good listening chamber for an idea. VB: Is this different than letting your subconscious mind work? Are you talking about an emerging consensus or agreement that occurs through silence? John Hunt: A bit of both, I guess. Allowing your subconscious through and also not getting caught up in the moment. We need a little silence, and then concensus emerges. Another experience is having an idea go "zap" while lying in the bath, or just before falling asleep. I don't understand how it works, but you haven't been thinking about your challenge or problem. Both happen time and time again. I wish I could work out why and bottle it. VB: You said you use the creative power of silence in your agency and with your clients. John Hunt: Yes. It spooks some of our clients a bit, because we sometimes think noise is necessary for ideas to emerge. VB: "The rewards of an honest discussion can be beyond measure." How can one recognize when one is involved in an honest discussion? John Hunt: Experience helps. Strangely, I find honesty often happens when you don't have people around the table agreeing with each other. If everyone is just nodding, you get what I call "country club honesty." I guess the opposite would be "divergent view honesty." You don't always agree, but at least it's honest. Who wants to be surrounded by a group of yes men and women? VB: How does one bring about honest discussion, where people can express divergent opinions? John Hunt: Often the problem is a big boss in the room, or a feeling that there is a pre-set agenda. So you have to cut through any corporate or personal politics that gets in the way. It helps up front to declare that the idea can come from anyone and anywhere. VB: "Thinking without a sense of urgency rarely sees the light of day." In your experience does a sense of urgency almost always have to be imposed? John Hunt: There are two sides to that coin. Because of the way we are as humans, and because of the way our brains work, a deadline is a good motivator for getting us toward an idea. If you say something must be completed by Wednesday, 9 times out of 10 it will be. On the other hand, if a sense of urgency is relentless, you burn out. You have to find the middle ground between naval gazing for the sake of it and urgency for the sake of it. I think an honest deadline is a healthy thing, provided it's not artificially imposed again and again. We all do need time out. VB: Organizations often need a sense of urgency for change communicated from the leader but it can't be a sense of urgency for constant change lest you tire and burn people out. John Hunt: Yes, that's certainly one of the reasons people burn out. Leaders have to be careful. They can't expect employees to be hamsters perpetually on the wheel. VB: I gather that having great instincts is the primary skill you look for when hiring a new employee? John Hunt: I put a lot in store by that, but often feel I'm in the minority. A lot of people still ask, "What art school did you go to? Do you have an MBA? From which University?" They focus first on the person's training, and then on whether or not they have good instincts. I go the other way. I like to understand the person first, check out their way of thinking, and see if I believe in them. Then I look at their curriculum vita. I admit this isn't conventional wisdom. VB: Conventional wisdom in this case is surprising, isn't it? John Hunt: Yes. If the person sitting opposite to you is hungry, wants to achieve, and has a desire to be somebody, you can help them to do almost anything. You can work with them to become what they want to be. If they have the right things on their CV, but you can't into buy them as a person, it doesn't much matter where they were educated. VB: Or what their work experience has been? John Hunt: Or even their work experience, yes. VB: In 1993 you were intimately involved in Nelson Mandela's election campaign. Did you have opportunities to spend time with him? John Hunt: I did. I was very, very lucky on that score. VB: Indeed. During the 1993 election campaign or on other occasions as well? John Hunt: Mainly during the election campaign. I also had a wonderful day with him during a cricket match, of all things, where he sat next to me. Cricket is a full day game. I have a wonderful picture of him sitting next to me in his floppy cricket hat. After the election campaign was successful, we had one or two meetings. It was a privilege. VB: Did spending time with Nelson Mandela change you as a person? John Hunt: That is difficult for me to say, but hopefully something positive rubbed off. Mandela is the most sincere person you could ever meet. Some superstars like to show you they still have the common touch. Nelson Mandela is not like that. He is the common touch. We saw this again and again. He's not a great orator; he's not a rolling speech person. Instead, Mandela led by integrity of purpose. You just believed him. Politicians around the world could learn from this. VB: You said integrity of purpose. Was that part of his charisma? John Hunt: Sure. You believed in him before he said a word. If he asked you a question you didn't feel there was a hidden agenda. If he had a suggestion you didn't have to second-guess. His charisma is all about his approach to life after he was released. Here is a man who had been in jail for 28 years and came out with no anger, no remorse. He looks you in the eye and says, "How are we going to build a better South Africa." That's it. VB: He always had presence. John Hunt: Yes, he fills a room. When he comes in they don't play the national anthem; he just walks in. His quietness and integrity create a presence. And he has the world's most beautiful smile. One smile and the room is captivated. He is just beloved. The other interesting thing I observed was that when he emerged from jail after 28 years he still had the manners of the era before he was imprisoned. Impeccable manners. If a lady walked into the room, he immediately stood up. He opened doors for everyone. He wouldn't move from the dining table until everyone else was finished. It was another lovely thing that added to his persona. He was, and is a beautifully mannered person. VB: You say of Mandela, "The most sunrise person I ever met, had grey hair, walked stiffly and had just spent twenty eight years in jail." He…"electrified a room…through integrity of purpose." Have you been able to determine how he managed to be a sunrise person despite the adversity and suffering he experienced? John Hunt: Not exactly, but I did ask him one day in a slightly obtuse way. He said something to the effect that if he had been let out of jail after 5 years, he probably would have been angry and bitter with the world – as he had every right to be. I think that during those 28 years he worked through his anger and disappointment. Instead of allowing his thinking to drive him deeper and deeper into despair and anger, he somehow went the other way. I don't know if his fellow prisoners on Robben Island helped him get through it, because there was obviously a huge camaraderie with his fellow prisoners. But somehow the longer he stayed in jail the more of a sunrise person he became. It's truly remarkable! VB: He didn't lose hope for a better South Africa. John Hunt: Not for a moment. To the point where, before he was officially released, the then government would say, "We'll let you out of jail on certain pre-conditions." And he consistently said, "No conditions." He could have been released earlier if he signed a side deal. In the end, he became more powerful by staying in jail. VB: "Sunrise people know that if you don't have all the answers yet, it doesn't mean the idea is invalid." Would you talk about this? It typifies Nelson Mandela as well? You have the beginning of an idea, because it's in its infancy, you clearly can't work out everything. Now the sunsetter finds one gap and drives a wedge into it, "You haven't thought this aspect through. It's not going to work." By contrast, the sunriser says, "Let's park this concern for the moment. I like parts one, two, and four. We haven't sorted out three, but I can see where we're going. Let's see if we can do five, six and seven then come back and see what we can do with part three." When you start developing a new idea you never have all the answers. You can't. But you believe you will achieve the end result, and so you keep moving forward. VB: When Mandela was released, it was "…spring in the mind of a new nation. And most incredible of all, those ideas joined hands and created a miracle." Is the miracle still unfolding? John Hunt: It depends on the filter you use. Compared to the dark days of apartheid, the miracle is still unfolding. It is unfolding in the sense that we have a democracy, and it is a beautiful country. A year ago we went to the polls – something like 80% of the country voted. It was completely peaceful, which was terrific! Is it the perfect country, the shining light, everyone looked forward to achieving? No, some of those lights are dimming. A lot of it is politics as usual. Many of our leaders don't have Mandela's level of integrity. There's a lot of corruption, and crime. Having said that, you wouldn't believe the warmth and wonderfulness of the average South African person. Often those who have the least have the warmest hearts. Is South Africa still in the warm after-glow of the Mandela era? Well…a lot has gone wrong, and South Africa is sometimes, in a political sense, in denial of that fact. VB: One scenario that was chosen when Mandela was released from prison was, as I recall, the "Rainbow Nation." The decision was to try to avoid conflict, and internal warfare, and to reconcile differences in a new South Africa. John Hunt: Yes, the focus was on reconciliation and working together. Moving from a horrible past to a future for all. This vision held very well for the first 5 years. It wasn't perfect, but success might be measured by the fact that we were on the brink of an abyss but didn't fall into it. We're hosting the World Cup and the nation, from an emotional point of view, is extremely excited about it. Many want South Africa to perform well in the spotlight. It's going to be a fantastic World Cup. I'm hoping it will be a catalyst, if not to get us back to the Mandela era, at least remind us of his values. VB: Do you have any tickets to the games? John Hunt: I have, and I can't wait to be there. VB: You've been described as a "gentle, humble and nurturing leader." And very creative. Is that a good description of you? John Hunt: If that's how others describe me, I'll take it. VB: What are the attributes of a good leader? John Hunt: A great leader leads. It sounds obvious, but if you don't give direction, everything goes limp. However, in an idea business, rather than taking ownership and saying, "It's mine," leadership is much more successful when you say, "We're all in this together. I'm happy to be in charge and take any flak, but do we all agree that this is the right way to go? I think leadership is now more of a nuanced job, but that doesn't mean it's fuzzy. You can be inspirational, as well as showing leadership, and people seem to follow you more than if you just scare the life out of them. VB: The autocratic leader is probably something people won't tolerate any more. John Hunt: That's my sense. I think the arrogance of, "I know, therefore you will," doesn't get you far these days. John Hunt: Sort of, it's still incubating. VB: I gather you're always working on another book or project, in terms of coming up with ideas. John Hunt: Yep. But it's such a commitment in terms of time. I normally work in the early morning so my wife says I'm going to have to start getting up at 3 a.m.
VB: You also have time for your family? John Hunt: Yes. It's the most important thing in my life. I'm extremely fortunate to have three wonderful children and a gorgeous wife. VB: Is Sam Nhlengethwa, the artist and illustrator in your book, a friend? John Hunt: This is a wonderful story. I had no idea what I wanted the book to look like, except that, because I was of Africa, I wanted to use a local rather than a European or American artist. During some research on the net I saw a picture of a jazz pianist bent over a piano and said, "That's the guy I want." I didn't know him from soap, but he was Sam Nhlengethwa. I phoned him, went to his somewhat run-down studio, and told him my idea. He said he was interested. To be honest, I thought I was doing Sam a favor. Afterwards I found out he is world-famous! Proof that I am a pleb. We have subsequently become great friends. He made working on the book a wonderful experience. He isn't an egomaniac. We chatted about each chapter. Sometimes I would suggest a change, and he was happy to oblige. Sometimes he said, "No," but it was always a beautiful, collaborative process. VB: I love the illustration of the nun playing the saxophone. John Hunt: That's my favorite too. I have the original. It's in my office. VB: Earlier you used the term "kept book." John Hunt: It's a publishing term. If a book is soft-cover with no illustrations, just text, you might not want to keep it on your bookshelf or in your backpack when you go to work. Sales have been very good with a second printing in the U.S. and a Spanish version coming in November. So it seems to be working. VB: Do you have any other comments about how the art of an idea can change your life? John Hunt: I think you asked some terrific questions, and covered everything four and square. VB: Thank you very much. You've been very generous with your time. It's late in South Africa. John Hunt is in the idea business, helping people who are trying to have creative, innovative ideas. His 20 observations or patterns of how ideas emerge are based on his observations of clients in many different parts of the world, and therefore have cross-cultural relevance. And they're fun to read. "Information, no matter how beautifully it is packaged or re-packaged, does not equal an idea." "Insight appears when you look for meaning rather than facts." "It's very difficult to get a fresh idea through those addicted to routine." "Most of the world's greatest ideas were first very fragile thoughts." "Organisations spend perverse amounts of time and energy ensuring that conventional thinking is neatly overlaid with new conventional thinking." "Nothing motivates people more than being told they have permission to let their imagination out of its cage." "The middle ground is always the most dangerous place to be." "Ideas can only reach their full potential when the context they're operating in is honest and open." "If you can't change the room, change the room." "In the land of ideas, a comfort zone is not an environmentally friendly place to be." 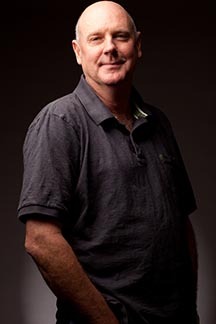 John Hunt is the Worldwide Creative Director of TBWA. He cofounded TBWA\Hunt\Lascaris, widely recognized as one of the leading advertising agencies in the world. The agency started in 1983 with the mantra "Life's too short to be mediocre." It has won a number of awards, including International Agency of The Year in 2008. In 1993 John Hunt was intimately involved in Nelson Mandela's first ANC election campaign. In April 2003 Hunt moved to TBWA's New York headquarters to assume the role of Worldwide Creative Director. His task was to redirect the agency's reputation by celebrating original thinking and groundbreaking ideas. He has helped reshape the network to think less about ads and more about ideas, and make TBWA the vanguard setting the standards of innovation in the industry. John Hunt is also an award-winning playwright. He was born in Zambia, educated in South Africa, and now lives in Zambia. He is the author of The Art of the Idea: And How it Can change Your Life (2009).